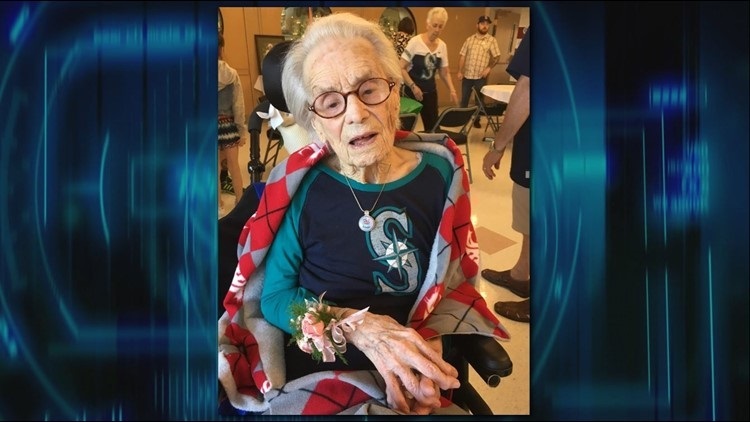 Gertrude "Ella" Ellison turns 110 years young on Wednesday! The year was 1908. William Taft was president; the first Model Ts were rolling off the assembly line; Orville Wright was building the nation’s first military plane; Cy Young was pitching for the Red Sox; a brand-new gadget called the radio was just getting started, and so was Gertrude “Ella” Ellison. Gertrude was born on May 16, 1908, in Anoka, Minnesota, the home of the Dakota and Ojibwa Indians. She was raised in pioneer country on the open plains of Pollock, South Dakota. It was a hard life, but she prospered as a rural schoolteacher, walking several miles each day to and from her single-room school house. Gertrude not only taught history but also lived it.